I am the girl who cant get enough hair straighteners. I dont know how many I have bought (expensive & inexpensive ones). Chi is pretty good but yes its expensive. But, my trusty hair straightener is the Remington one I got from Target for $19.99 or $24.99. It makes my hair straight & shiny and it doesnt burn my hair at all. The keywords to look for are ionic and also ceramic. 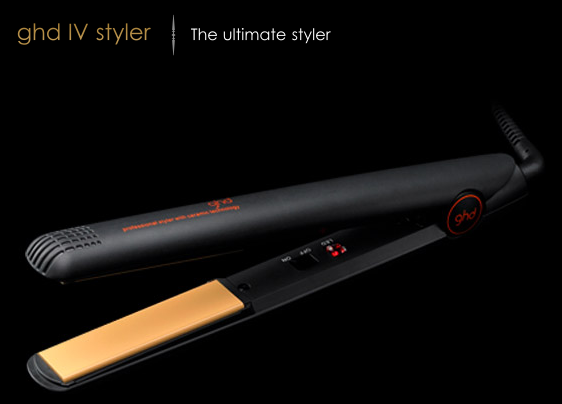 ghd is used by the salon I went to in L.A. which have been used on me. It doesnt give the same results as the Remington. I have bought others after the Remington one but I still go back to it. Good luck! i have been using my CHI for 2 years. i don't know if you know but i have really curly hair. as in the telephone wire curly and you've always seen me with my straight hair ;) i love it because i don't get split ends from it and after one pass, it is as straight as i want it to be. with 2 girls, 5-10 minutes max is all i have to do my hair. oh the big plus is that when i go to the beach, it says straight. hope that helps. I use Chi 99% not to straighten my hair but to give it some loose curls!! I hate the way my hair looks when I straighten it coz it looks so stupid and unnatural. My hairdresser scolds me for using too much product in my hair. He told me not to mess with it and to keep it healthy. I also switch to sulfate free shampoo and I mask my hair once a week to avoid dry and damaged hair. Hi Tin! I'm very satisfied with the one I use, it's branded Tresemme but manufactured by Philips. Got it from Boots in the UK but it's likely you can get it in SG too. Do write an update about this. I, too, have been searching for a good hair straightener that won't empty my wallet. It's my first time to visit your blog and I love your posts, especially the one with your daughter wearing a pink/purple shirt. Just adorable. however, my vietnamese friend says any cheap one will do because chances are they will all zonk out and you will have to buy a new one! plus, it's not something you want to use regularly. it works fine, but i think it's really the product that goes w the iron that makes the difference. Awwww, thanks for your tips girls! Raissa, Modawalk, Cha and Trina! Looks like I'll start off with an affordable one first since that seems to be working for you. I have a portable one that I got at Target for $10 and I'll just use that and if manage, then I'll stick to that! If not, CHI it is, haha! Thanks Belle & Kaye! Mwah! Mwah!